From the Sunshine Coast to the Gold Coast including Hervey Bay. Capture your memories with a Sunshine Coast DJ’s photo booth. 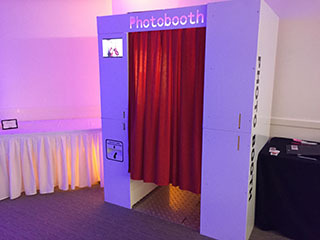 Popular with guests of all ages, a photo booth at your function is a great way to keep guests entertained and provide that something extra to make your event truly memorable. Our elegant white Wedding photo booth looks amazing and will fit perfectly into your Wedding reception. Recommended for Weddings or white themed events. Our photo booths display images on the outside of the booth to create visual entertainment throughout the night. 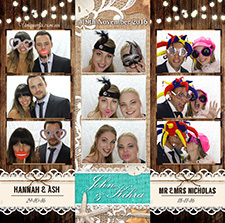 The superior functionality of our photo booth allows images to be uploaded to social media instantly. Popular at weddings, parties and corporate functions.